Drymarchon melanurus is a large tropical colubrid snake. Its coloration changes gradually from golden brown at the head to black at the tail. They have a wide variety of habitats, including marshes, fields and prairies. They have amazing ground speed and are good climbers and swimmers. Although known for their docile nature, Drymarchon melanurus have an extreme personality change when they smell food. They will become aggressive, grasping the prey in its mouth and slamming it around (almost bludgeoning the victim) and then swallowing it whole while it is alive. On average, cribos are active, diurnal snakes that need some room to roam. Most keepers recommend 1.8 x 0.6 x 0.6 meters (6 x 2 x 2 feet) cages as the minimum size to house a full-grown adult drymarchon. Ideal dimensions for the adult enclosure should be 1.8 x 1.2 x 0.6 meters (6 x 4 x 2 feet). The need for space is not quite as dire your young snakes as they spend much of their time hiding- presumably out of their natural instinct to fear potential predation. I find that shoeboxes are sufficient for hatchlings. Once the animals are approximately six months of age, I move them to enclosures that are approximately 0.6 x 0.45 x 0.45 meters (2 x 1.5 x 1.5 feet). Once they surpass 0.9 meters (3 feet) in length, I move them into a cb-70 rack until they are large enough for their adult enclosures. You can enrich the enclosure with live or fake plants and hollow logs. Having in mind how active and intelligent these snakes are they will utilize everything in their enclosure. Be certain to offer the snake plenty of space and a hide box on each side of the cage big enough for the snake to fit inside but not too big. The snake needs to feel secure in each hide spot. One of the primary reservations people have about keeping cribos is their defecations. Drymarchon are notorious for having fast metabolisms with frequent and foul-smelling defecations. Drymarchon breeders are constantly on the hunt for substrates that contain the odor and help to maintain a clean environment for the snakes. Chief concerns are: making certain the substrate is not large enough to cause impactions if ingested, odor control, and humidity retention. Many use newspaper and have resigned themselves to frequent cage cleanings. Others opt for highly absorbent substrates which hopefully allow them to not have to clean after every defecation. The problem with these absorbent substrates is that they can remove some of the humidity from the cage. This can be counteracted with misting and a humid hide box. I have never used any sort of particular lighting for my drymarchon. Some keepers prefer to use a UV bulb for basking, but I’ve never seen the need. My snake room has a window, so the snakes can sense day and night as well as changes in the photoperiod throughout the year. This is important for their breeding cycles. If you don’t have physical light in the room it’s recommended to use UV lighting to emulate the day/night photoperiod. As with most reptiles, a thermal gradient is recommended for cribos. Allowing the snakes to thermoregulate themselves most accurately mimics their natural behavior in the wild; the trick is to provide the correct temperatures at both ends of the cage. Drymarchon are very sensitive to high temperatures, and novice keepers often accidentally kill snakes by mismanaging cage temps. Ambient temps in the snake room should be kept between 21-25 °C (70-78 °F) as the temps naturally fluctuate with the seasons. Temps on the cool side of the cage should never exceed 28 °C (84 °F). Once a stable room temp is provided, a hot spot should be given on one side of the care that can be 30 °C (87 °F). Cribos drink relatively high volumes of water and the need to provide them with a steady supply of fresh, clean drinking water is much higher than it is for most other reptiles. As mentioned above, drymarchon are extremely sensitive to dehydration, and a lack of clean drinking water, even for a few days, can lead to serious health problems. Many keepers use water dishes that are large enough for the snake to soak in, however, I choose to provide smaller water dishes that do not tip easily and I have never had a problem. Their water should never run out, and should always be kept clean and fresh. Water dishes should be cleaned and sterilized frequently to prevent the accumulation of bacteria, fungi, or parasites. Drymarchon need to have some amount of humidity in their cage. Some keepers provide this humidity by providing a substrate that holds moisture well like peat moss and misting it daily. Others, myself included, prefer to provide a humid hide box in the cage that is filled with slightly damp spaghum moss. The snakes will use this humid hide, particularly as they prepare to enter their shedding cycle. A properly hydrated snake will be much less likely to retain eye caps and tail tips while shedding. Humidity can also be raised with a wide, and shallow water dish. Most drymarchon live in areas that experience heavy seasonal fluctuations in humidity and rainfall. Many keepers mist their cages to mimic these seasonal changes. Proper caution should be taken to prevent oversaturating the substrate. As a general rule of thumb, the moisture from the misting should dry out over night to avoid the risk of mold or mildew growing in the cage. Cribos are generally very aggressive feeders. They are not constrictors and are adapted to crush and devour their prey in their extremely powerful jaws. Although many keepers successfully keep their drymarchon on a rodent-only diet, I am a firm believer that the snakes are happier and healthier with a varied diet. In the wild, these guys will eat just about anything they can overpower. Other snakes, lizards, birds, fish, frogs, rodents… anything is game! As such, I feed my snakes chicks, chicken necks, quail, fish, rats, mice, and other snakes. All are frozen thawed and are proportionally small. I keep the meal sizes small for a few reasons. First, their jaws do not open as wide as other snakes. Even an eight-foot Cribo can’t handle a jumbo rat. Large meals can also cause some adults to lie around and get obese. I believe the animals do well with smaller, more frequent meals. I feed them small/medium-sized meals twice a week. The appetite of some adult drymarchon can fluctuate seasonally. Shorter days and cooler nights often cause my adults to lose their appetites for a period of time. This is perfectly normal. They should start eating more consistently when springtime rolls around. My snakes’ appetites are always in full swing during the warmer summer months. A keeper should always be extremely cautious when opening cages around feeding time. It is not uncommon for an cribo to lunge out of a cage with a gaping mouth. These are extremely powerful animals with jaws like vice grips. If bitten, expect severe lacerations and a lot of blood. Be on your toes and extremely cautious during feeding time! Drymarchon species as a whole aren’t particularly aggressive snakes, but they can be fast and active. Frequent handling will calm this, but they will not sit in your hands like a ball python. Very few of my snakes will bite defensively, and if you are going to get bitten, it is generally from a feeding response bite. Because of this, I always use a cage hook to take my adult snakes from their cages. Once they are in your hands, the feeding response shuts off, and they are unlikely to bite. No matter what substrate you choose to use, the reality is that drymarchon keepers probably end up cleaning cages more often than most other keepers. If this is a bother for you, then perhaps and cribo is not the right choice for you. A clean cage is essential for any reptile’s overall health. I spot clean my cages 1-2 times a week, and I deep clean them once every month or so. I live in Southern California which can be very dry. I provide my snakes will a tupperware box filled with damp moss to aid in the shedding process. I do not mist my snakes, and I find the humid hide box is sufficient for a healthy shed. Even still, it is wise to inspect your snakes after they shed to make sure their eye caps came off properly. 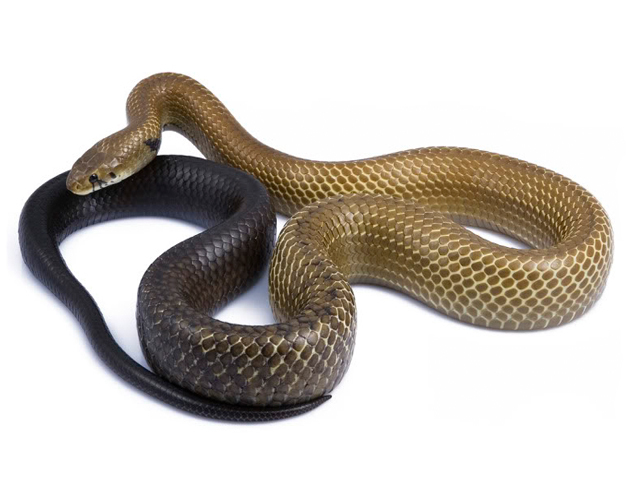 Excessive heat can cause the snake to rub its nose completely off, and can also cause death. Precautions should be taken to ensure summertime temps never cause the ambient temps in the snake room to get too high. When a snake is kept too cool, it can get sick, but when it is kept too hot, it can die within minutes!